A sell-out before its world premiere season opened in 2016, Matthew Bourne’s triumphant adaptation of the legendary film returns in 2019, having won two Olivier Awards and dazzled audiences across the UK and the USA.  The Red Shoes is a tale of obsession, possession and one girl's dream to be the greatest dancer in the world. Victoria Page lives to dance but her ambitions become a battleground between the two men who inspire her passion. Set to the achingly romantic music of golden-age Hollywood composer Bernard Herrmann, The Red Shoes is orchestrated by Terry Davies and played by the New Adventures Orchestra, with cinematic designs by Lez Brotherston, lighting by Paule Constable, sound by Paul Groothuis and projection from Duncan McLean. Age recommendation: Suitable for children aged 5+, but we recommend reading the film's synopsis, as there are some mature themes. Following its premiere, The Red Shoes enjoyed an eight-week Christmas season at Sadler's Wells before continuing its UK tour in 2017. The Red Shoes had its American premiere at the Ahmanson Theatre in Los Angeles on 15 September 2017, followed by seasons at The Kennedy Center in Washington DC, Blumenthal Performing Arts in Charlotte, and City Center, New York. The show is being revived for a national tour in 2019/20, including a seven-week Christmas season at Sadler's Wells.